We stock thousands of commercial quality cookware & cooking products at wholesale prices. As the original online source for commercial cookware (online since 1998), we are not the biggest, but we're the best source for your kitchen needs. 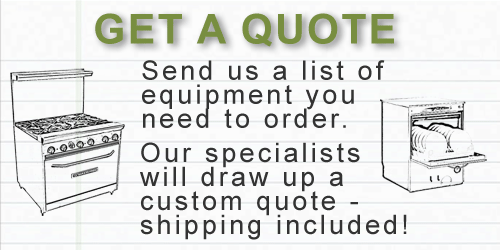 There is no minimum order and our professional staff is available to help you select the right products for your professional kitchen, restaurant, catering operation, or home.